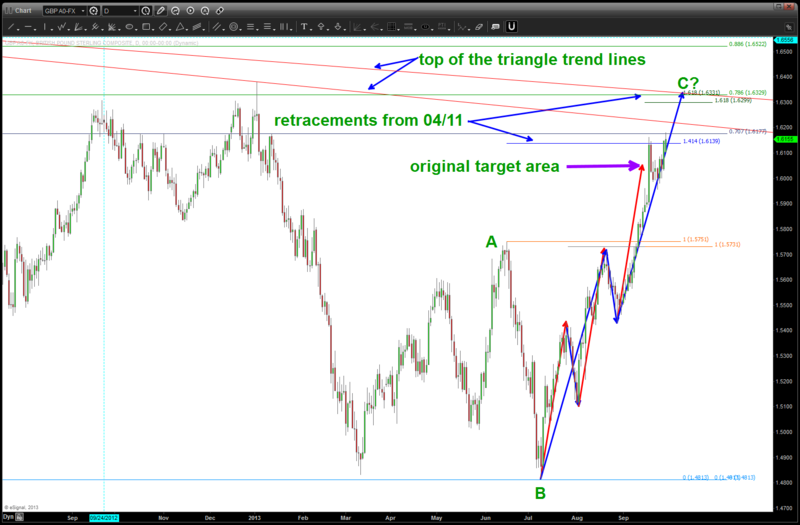 now, what to do … I can see a target in the 1.6331 area that I will now be hawking. we have exploded almost straight up since July w/ intervening orderly corrections. the trend line making the bottom of the multi-year triangle has now been opened and closed above (bullish) and, as of this AM, it’s still showing signs of strength.